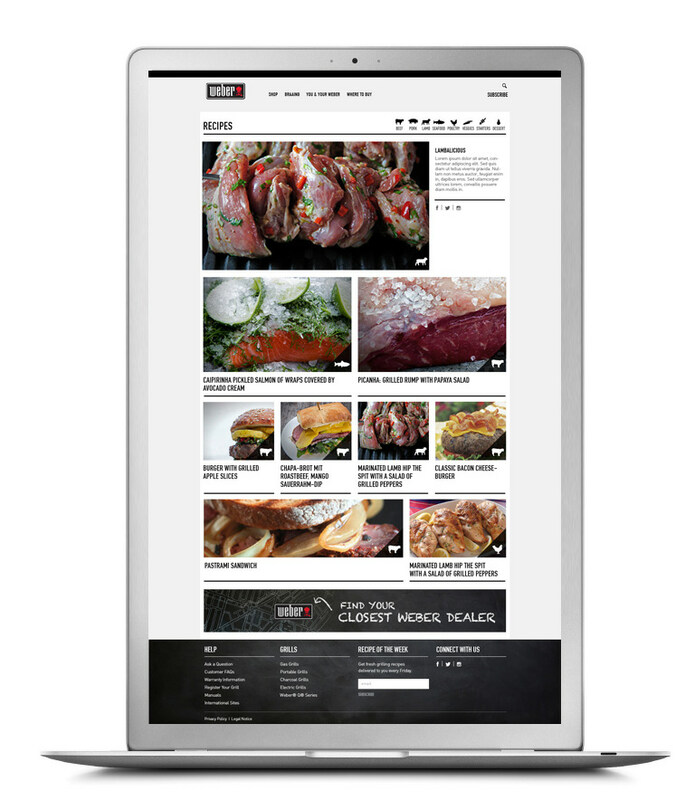 We were invited to pitch on the weber website project. Like in the construction of a skyscraper, you need to have a sound blueprint for building websites. 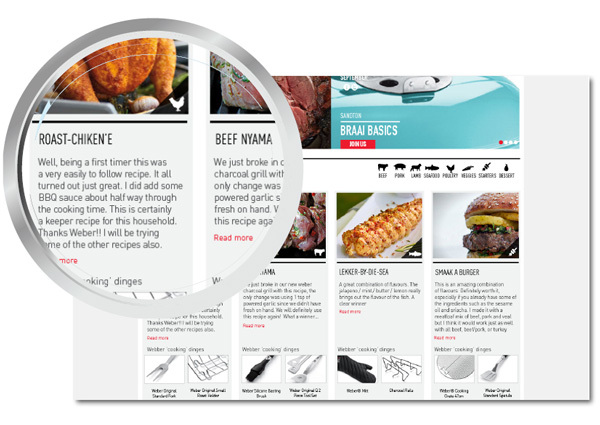 You’ve used the Weber Wizard and found your perfect braai. Now know where to get it. 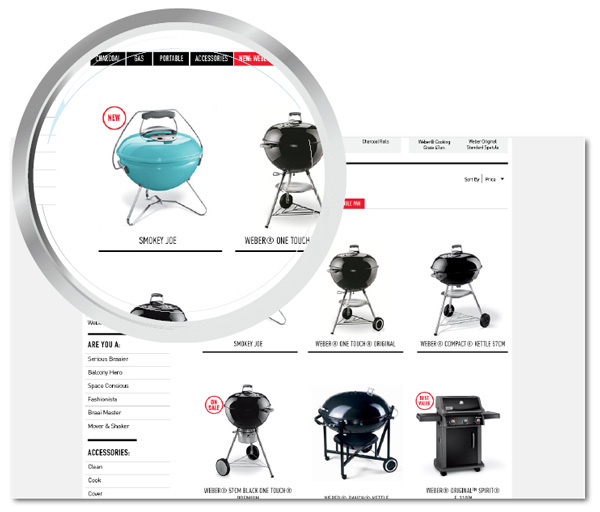 The retail support lists all stores for each Weber product. From the first time flamers to the experienced Braai Master. 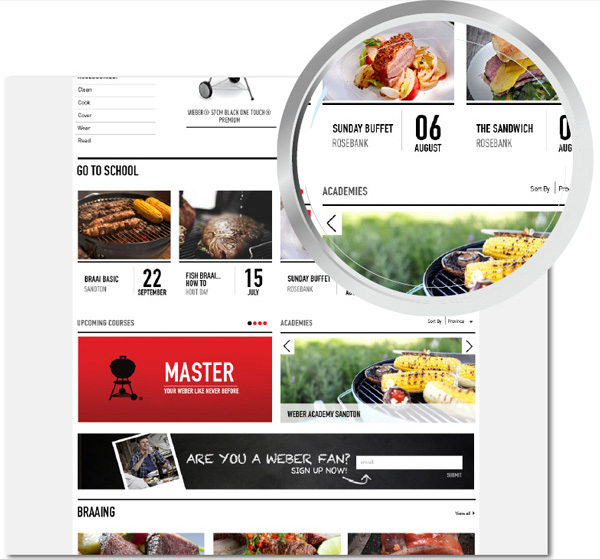 Weber has a braai for all. 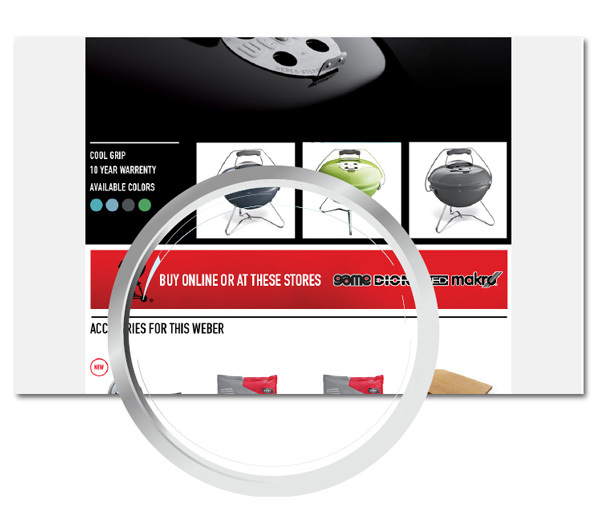 Use the simple Weber Wizard to find the perfect braai and accessories suited just for you. They say you are never more than 30 meters from a braai at any time. 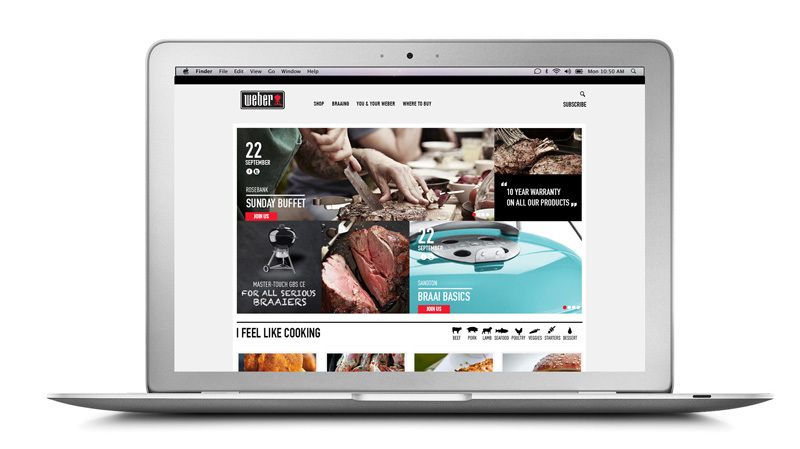 Check out all the Weber events and what’s happening in the Weber Academy. Local is lekker ne? Braaivleis, chesa nyama it’s all kiff my china. Or, stick to what you know with a straight forward kind of tone and manner. 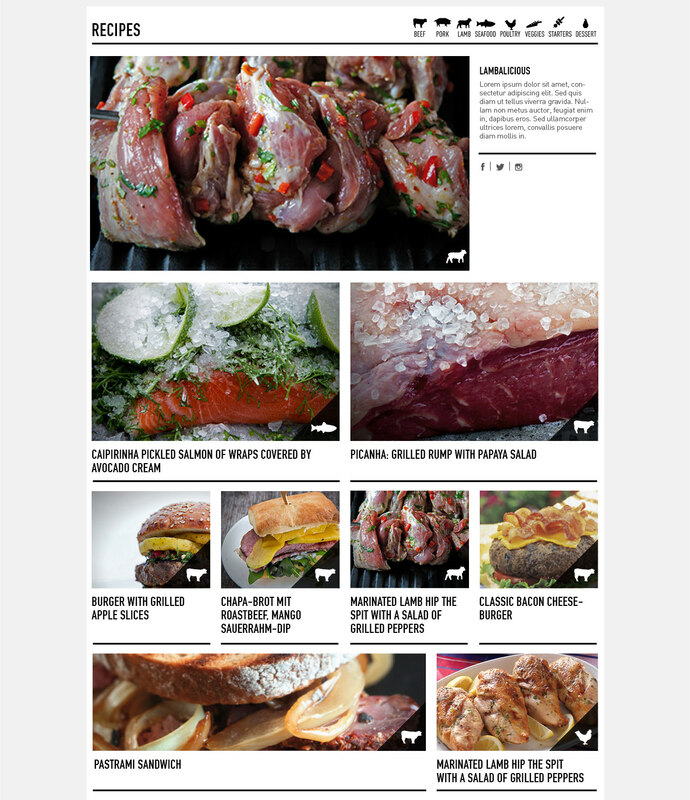 View big… very big and salacious images that will make you light that fire now! 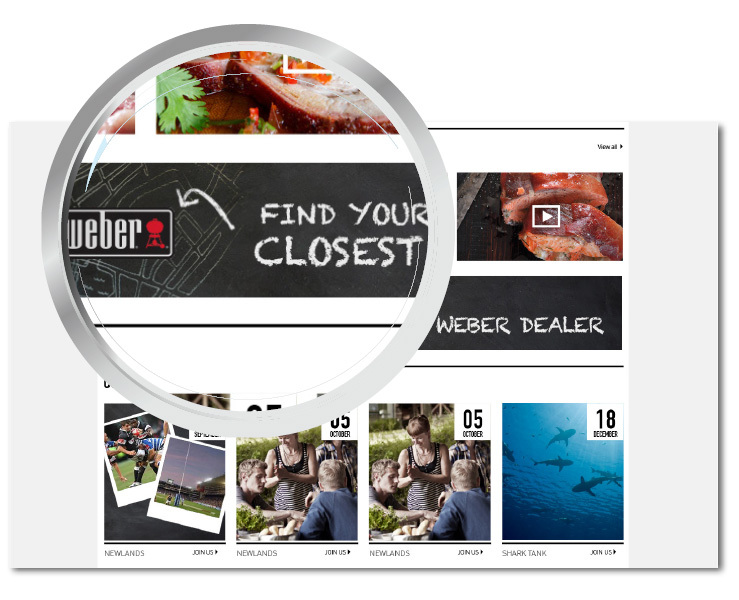 Big images coupled with easy navigation makes the Webber website a feast for the eyes. “I know I feel like something… but I don’t know what I’m in the mood for?” Choose your meat, choose you sides and pick what takes your fancy. 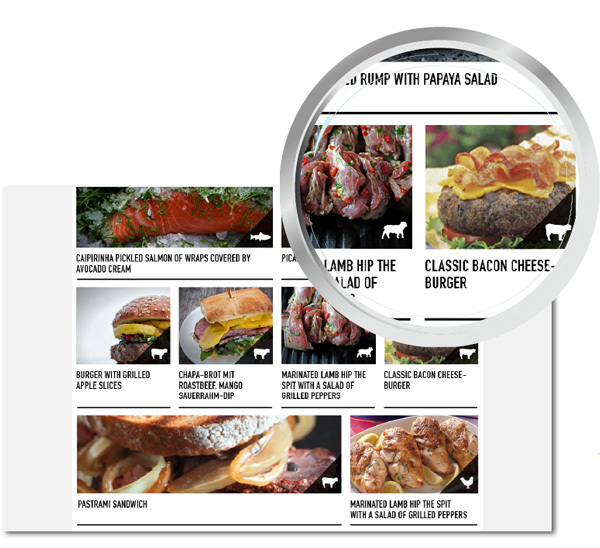 Impress your friends with our easy to navigate, mouthwatering, recipes.